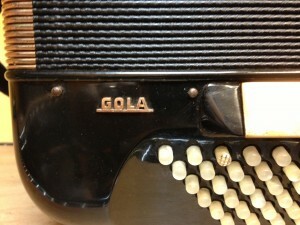 Hohner Gola now in stock! We are pleased to announce that we are now official Bugari agents. 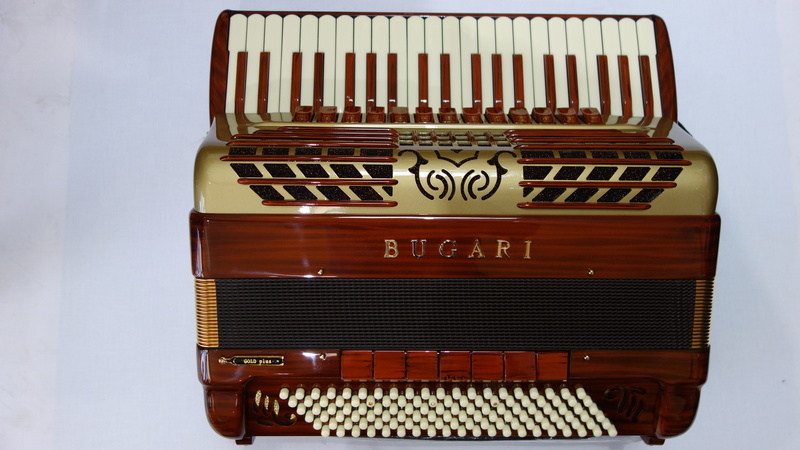 We have just taken delivery of our first three instruments from this highly respected Italian maker, and are able to order any accordions from the extensive Bugari range on request. Just arrived from Castalfidardo, are a Bugari Essenzia Gold Plus 120 bass accordion, ( http://www.theaccordionshop.co.uk/accordions/bugari-essenzia-gold-plus-120-bass-accordion/ ) a Bugari Champion Cassotto 96 bass accordion, ( http://www.theaccordionshop.co.uk/accordions/bugari-champion-cassotto-96-bass-accordion/ ) and a Bugari Juniorfisa 48 bass accordion ( http://www.theaccordionshop.co.uk/accordions/bugari-48-bass-accordion/ ). 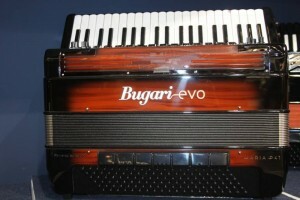 We also have a Bugari Evo electronic accordion on order, as well as several other models from this famous manufacturer. 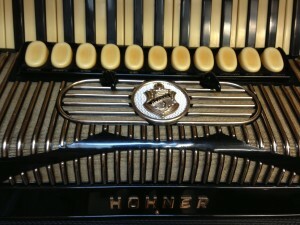 Paul is a talented accordionist, composer and teacher. He was born in Bournemouth and studied piano and church organ. 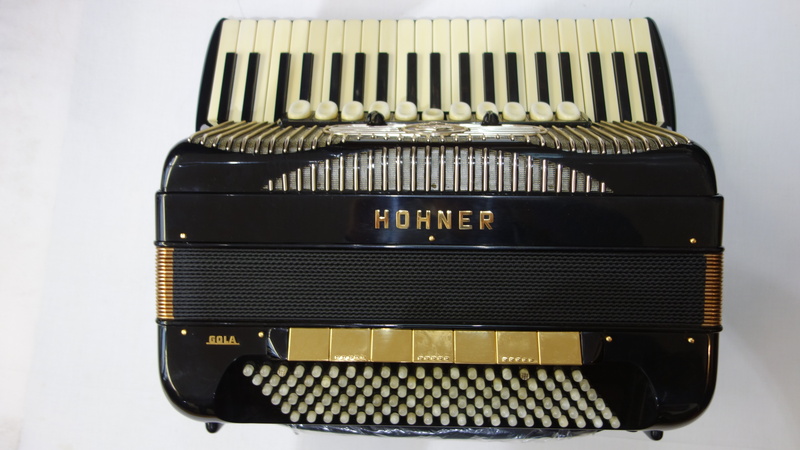 At 17 his father persuaded him to take up the accordion and form a ceilidh band. We hope you enjoy his performance tonight. David plays a variety of styles and his repertoire can range from Jazz , Scottish, European and light classics to easy listening, all played in his own unique and inimitable style. His wife Angie joins him to play duets. Should be a very good evening. She will be sadly missed by all her family and many friends in the accordion world. She travelled to attend our club when she could. She had many achievements. 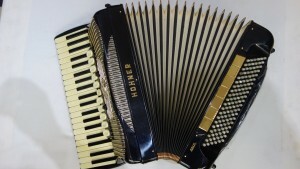 One was starting the South Hampshire Accordion Club. Many years ago she had a Strict Tempo Dance Group. Also French Mussette and Folk groups. 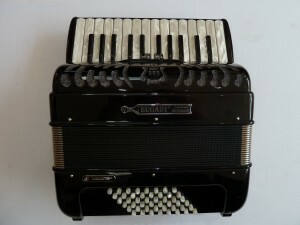 Adrienne also taught the accordion and ran workshops at St Audries Bay. 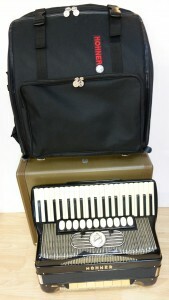 She also played with the Crawley Accordion Orchestra. She was a great supporter of Accordion festivals and events, often travelling great distances to help and support people wherever she could. Adrienne was a leading figure in the accordion world respected and admired by everyone who knew her, both for her musical knowledge and her talent playing the accordion. 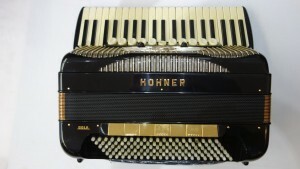 On behalf of the Guildford Accordion Club we offer our sincere condolences to her family and friends. May she rest in peace. 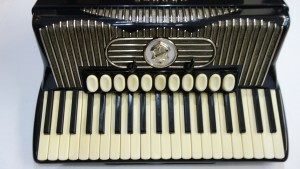 A great day for accordionists of all abilities. As well as learning Orchestral work you can meet fellow accordionists and make new friends. Enjoy the experience, be part of the day! Food – Music & Fun , included in £5 admission. On Friday 23rd September at 7.30 have guest artists Connla & Pepper Shepherd. Call Des O’Byrne on 01428 607096 for more info. every Tuesday. They have floor spots and guests. We are pleased to say that bookings for the Italy Trip are going very well. Enquiries have been made from the USA, Canada and the latest is from Australia. Should be an excellent venture. Information can be picked up at the door. 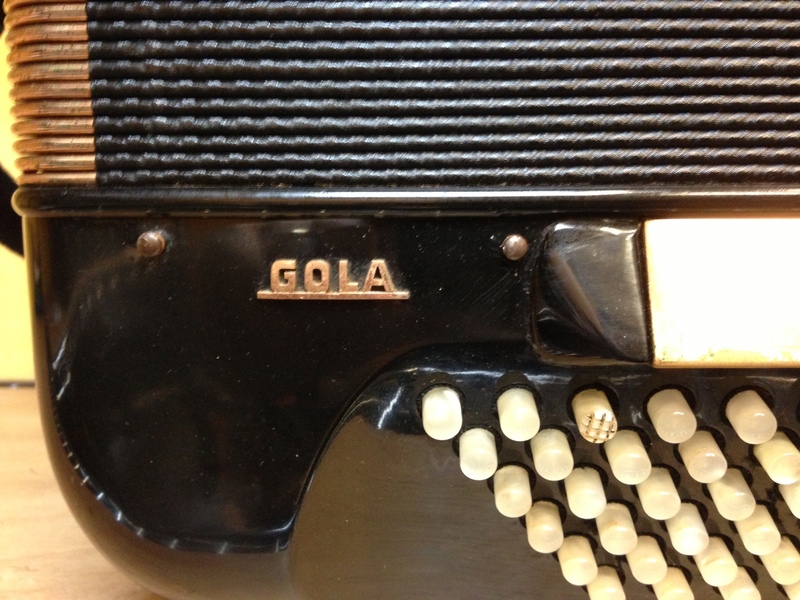 Here at The Accordion Shop, we are pleased to announce that we have just taken a classic Hohner Gola into stock. This highly sought after, top quality accordion is widely regarded to be one of the finest accordions ever produced, and nowadays costs in excess of £31,000 to buy new. 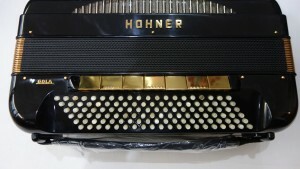 The Hohner Gola is a full size accordion with 120 bass buttons and 41 treble keys, and features an extremely straight four voice double octave tuning, making it ideal for the classical and jazz styles of playing. 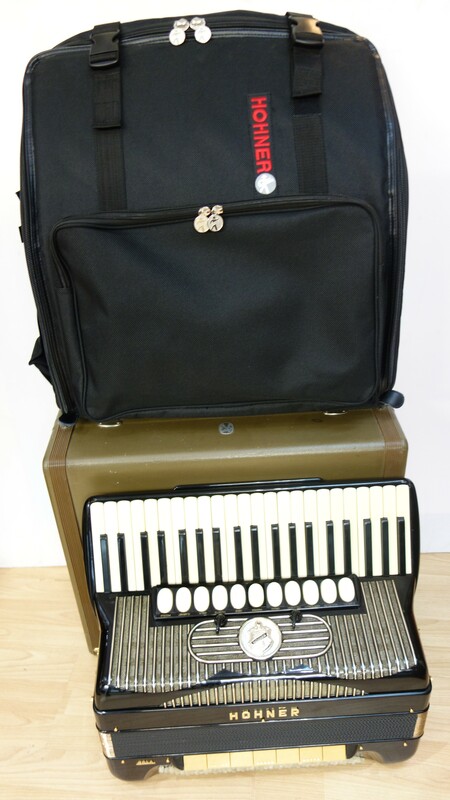 This world class accordion also boasts some of the finest hand made reeds ever produced, as well as a double cassotto chamber, which together help to create a unique rich sound, which somehow manages to be both bright and powerful and warm and mellow at the same time. 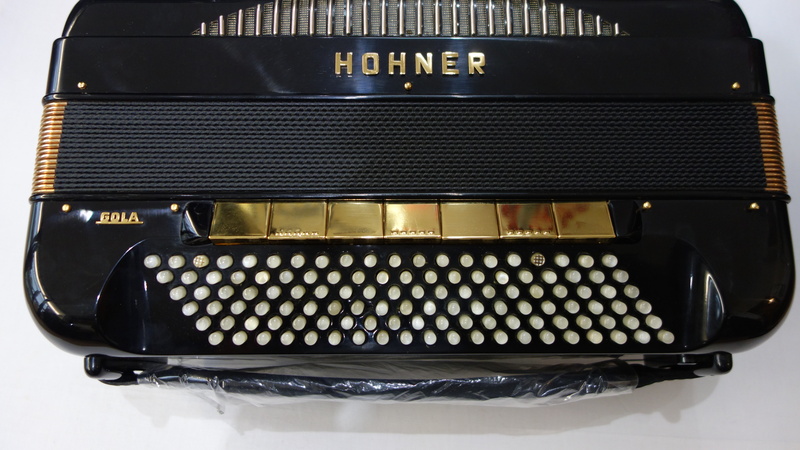 Our particular Hohner Gola is a relatively early model, having left the Hohner factory in the German town of Trossingen on the 21st of March 1960. 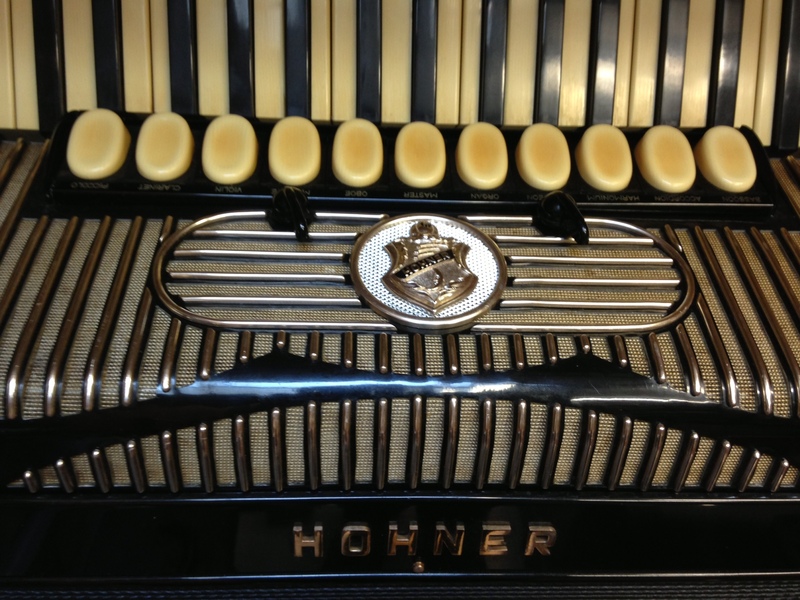 This stunning accordion is currently undergoing a full internal and external restoration in our workshop, (including a full refurbish of the gold plating) which is being undertaken by a former Hohner workshop manager using only original Hohner parts. 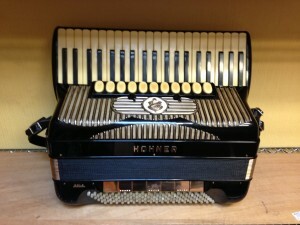 Paul is a talented accordionist, composer and teacher. He was born in Bournemouth and studied piano and church organ. 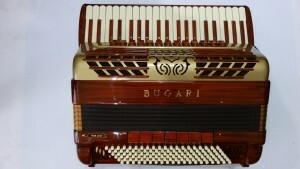 At 17 his father persuaded him to take up the accordion and form a ceilidh band. 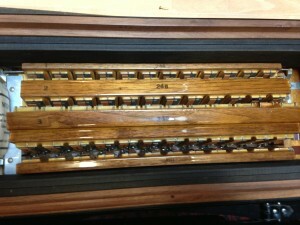 The Old Pull & Push . In 1995, Belshazzar’s Feast were born after meeting in a field for a rehearsal with the now defunct Life of Reilly. BF are still on the loose with a busy performing schedule and twice yearly tours. Among their many highlights was a nomination for Best Duo at the BBC Folk Awards in 2010. David from Uxbridge in Middlesex is the son of the late Martin Lukins an accordionist who became a household name during the late 50’s and early 60’s appearing regularly on popular national BBC radio programmes such as “Workers Playtime” and “Mid-day Music hall”. David also appeared as a child star many times on television and radio along with his famous father & mother Dorothy also sister Sandra ,once appearing for a season as a family act in the famous “Moscow State Circus.” This should be a very good evening. This takes place on the Sunday 29th October. 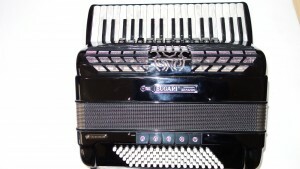 A workshop is held during the day for people who want to brush up on their accordion skills. In the evening there is a performance by participants. Family and friends can come along and listen to the concert. If you are interested in taking part you can leave details with us and more information can be sent to you at a later date. This is usually well attended so early booking is advisable. Contact Julie North 02085470515 or email: jnorth72@hotmail.com. Stephen Best one of our members plays with a band called The Monteurs. They will be playing at Godalming Bandstand on 21st August at 3pm. Should be an enjoyable and relaxing afternoon. Peter Le Geyt one of our members is again arranging a fourth trip to Castelfidardo Italy. 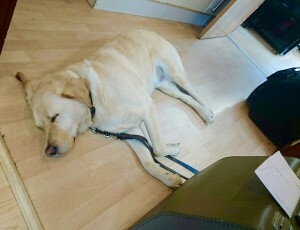 This trip has been very well supported in the past and many people have been several times. Many have been have given excellent feedback. I have sent more information in a separate attachment. We are sad to have to say that our Sunningdale shop has been broken into and 40 accordions, our computers and accessories have been stolen. 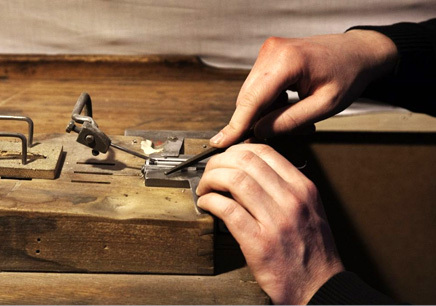 Likely to have been carried out by an organised gang, they knew what instruments they wanted, taking mainly Italian accordions of high quality from makers, Cooperativa, Excelsior, Paolo Soprani, Scandalli. Etc. 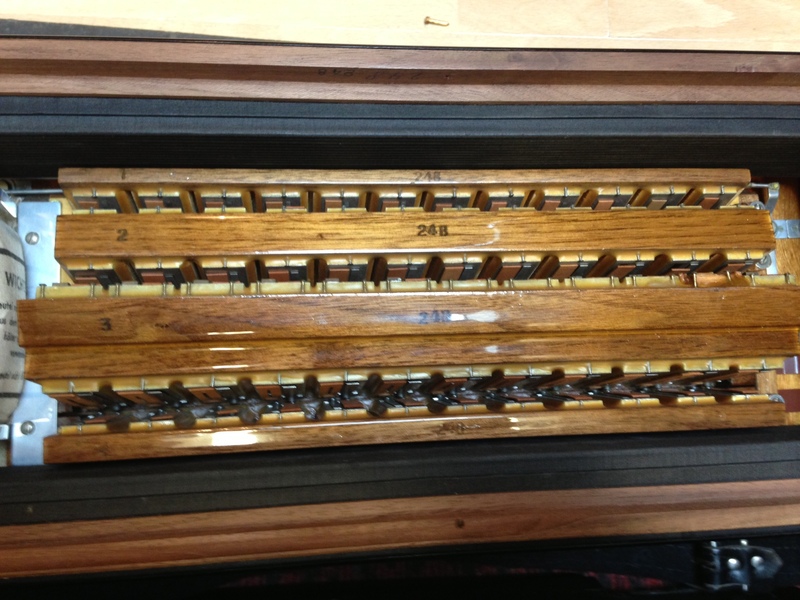 Please see the full list below with links of individual details for each accordion. 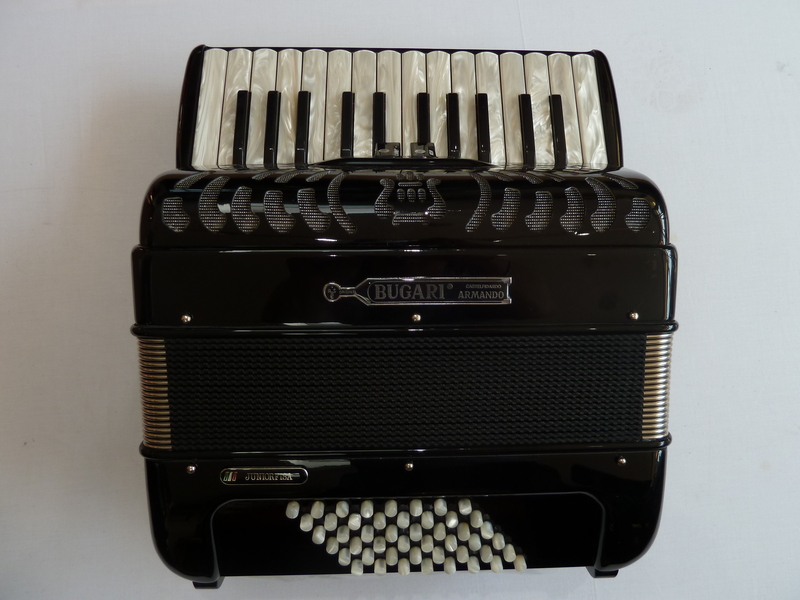 We are pleased to say that we are still trading from both the Sunningdale and Rochdale shops, as we still have plenty of accordions in stock, although being stored off our premises until we add further security. 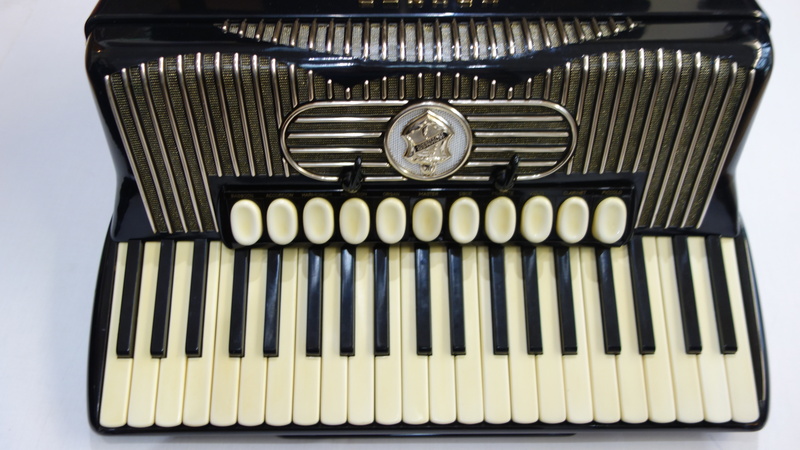 So if you are looking to visit us, please contact us before hand so that we may bring to the shop the models of accordions you could be interested in. Cooperativa 96 Bass 34 Key Bass (Black) £3995* (circa*) – TBC **Same in link but without the Jewels** – This needs to be confirmed. 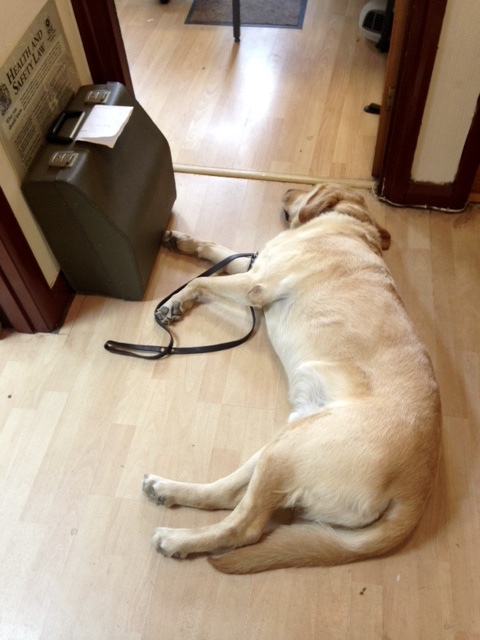 It looks like the noble guide dog Gieves is feeling the heat deplete his energy! Please note that due to staff holidays, our Rochdale branch will be closed between the Sunday the 17th of July and Friday the 29th of July. Normal opening hours of 10.00am to 5.00pm Monday to Saturday excluding Tuesdays, will resume from Saturday the 30th of July.